Your boiler is an important appliance at home. It has many functions. It uses gas, water, and electricity all at once. This will ensure that your central heating system is supplied with hot water all throughout the time you need it. The boiler is an important part of the system since it is the one that controls the temperature by heating and cooling up, as well as pumping water. It makes your home comfortable with the warmth it provides. But, you should know how to maintain the integrity of your boiler. This is to ensure that it is in excellent condition. How to take care of your boiler? You should always keep it clean. A simple thing to do this is to wipe the case of your boiler. You can use a damp cloth. Then also dry it with another clean, yet dry one. If your boiler is hidden in a cupboard, you have to check the manual first. Some manufacturers have a recommended clearance for the boiler case. This will ensure that it can be serviced and accessed securely. The grilles, flues and air vents of your boiler must always be blockage-free. If the boiler has a case, then you must hire an engineer to help you clean it. A gas-safe registered boiler tradesman is the right one for you. They are skilled and technically ready to remove the casing. 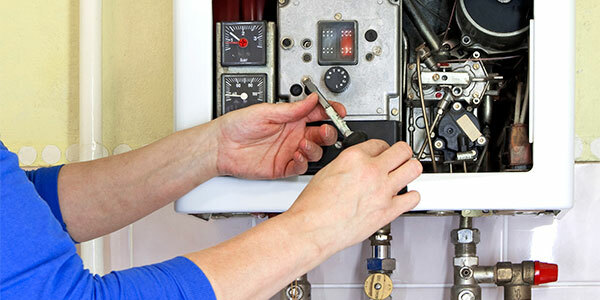 If you also think that your boiler is experiencing some issues, you should consult an expert. This will ensure your safety. Not only that, your home will be protected from dangerous leaks and explosions. You must have a room thermostat. There should also be a timer. A thermostat must be fitted in your room. This will help you save money if you have one. Your boiler or your central heating system will not be overworked if the temperature is monitored. It is also a good idea to have a timer. At the time of the day when you do not need heating, the timer will shut off the boiler. You can also turn the thermostat down to at least one degree. If the temperature is still warm for you, then you can still turn it down. It is also advisable to maintain the temperature of your hot water cylinder to kill the bacteria. Use safety measures. Plus, you can also install a mixing valve to control the temperature.